A recent study led by David Sulzer at Columbia University Medical Center showed that in children and adolescents with autism, brain tissue within the temporal lobe exhibit a decrease in neuronal autophagy (the brain’s process of clearing out old and degraded cells), which underlies oversensitivity and deficits in social interaction. In early development, synapses—connections that allow neurons to communicate with each other—allows for infants to develop with as much external stimuli and information as possible. However, in childhood and adolescence, these synapses are gradually “pruned” so that the brain can develop more specific and advanced functions by not being overloaded with stimuli. 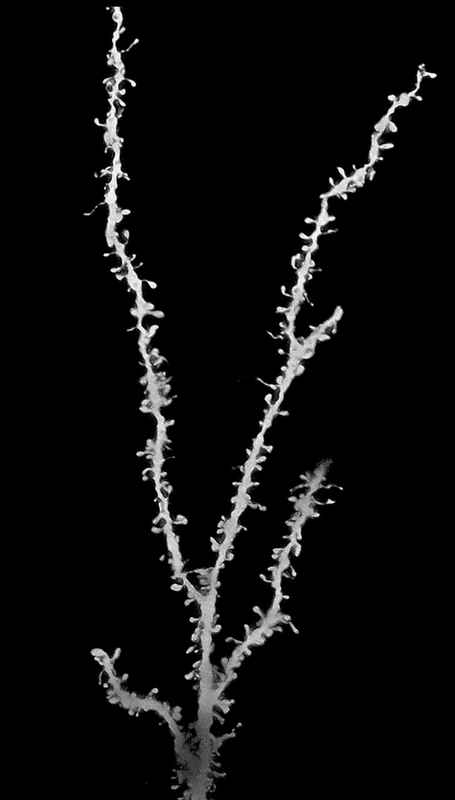 As one can imagine, brains of children with autism fail to “prune” these synapses, causing them to be constantly overloaded with stimuli. In this study, young children with and without autism show roughly the same number of synapses, suggesting a “pruning” problem in autism, rather a problem with overproduction. Dr. Sulzer’s team also found biomarkers in the brains of children and adolescents diagnosed with autism, which suggested malfunctions in the process of autophagy (the neural degradation of old cells and damaged cell organelles). Without autophagy, the synaptic pruning process can’t occur. Eric Klann, a professor at New York University, also acknowledged an autophagy decrease in ASD brains. “The pruning problem seems to happen later in development than one might think,” Dr. Klann informed the Times. “It suggests that if you could intervene in that process that it could be beneficial for social behavior.”1 With further research into how this decrease in autophagy—and thus the synaptic pruning process in brains of children with autism—can be addressed earlier in a child’s development, there is hope that symptoms of autism may be preventable in the future. 1 “Study Finds That Brains With Autism Fail to Trim Synapses as They Develop.” New York Times. 21 Aug. 2014. Web. <https://www.nytimes.com/2014/08/22/health/brains-of-autistic-children-have-too-many-synapses-study-suggests.html>. Written by: Different Roads to Learning on August 22, 2014. This entry was posted in autism, autistic spectrum disorder, In the News, Research and tagged autism, autism research, autophagy underlying social deficits, developmental delays, neuroscience, research, synaptic pruning by Different Roads to Learning. Bookmark the permalink.